Award season > Academy Awards 2019 live updates and winner’s list! The 91st Academy Awards are finally here! We’ll be updating over the course of the evening as the winners are announced and a full list will be available as soon as the ceremony comes to an end. 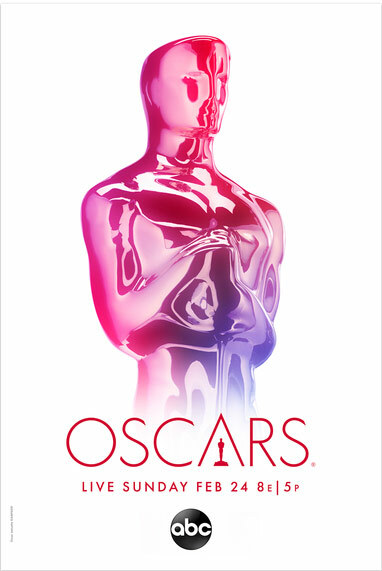 Make sure to download our Oscars 2019 score sheet to keep track of all of the winners! The show opened with Queen and Adam Lambert performing “We Will Rock You” and “We Are the Champions,” which had the celebrities in the audience singing along and bobbing their heads. The audience was then treated to an array of video clips from all the movies nominated in all categories. The first presenters were Tina Fey, Amy Poehler and Maya Rudolph, who clarified that there would be no host… and Mexico was not paying for the wall. They gave a brief demo as to what things would be like if they had been hosts. Maya asked, “Hey Chadwick Boseman, Wakanda plans do you have this evening?” and did a quick imitation of Lady Gaga singing a song from A Star is Born. They then presented the award for Best Supporting Actress, which went to Regina King for her performance in If Beale Street Could Talk. The Oscar for Best Supporting Actor went to Mahershala Ali for Green Book, his second Academy Award. His first was for Moonlight in 2017. Green Book also won in the Best Original Screenplay category. Spike Lee leapt into presenter Samuel L. Jackson’s arms when he went onstage to accept the award for Best Adapted Screenplay for BlacKkKlansmen. Black Panther, which received seven nominations in total, won its first award of the evening for Best Costume Design. The film had its second win just moments later for Best Production Design, presented by Chris Evans and Jennifer Lopez, who wore the most sparkly gown of the evening. It won its third award of the evening for Best Original Score. Alfonso Cuarón accepted the award for Cinematography for Roma from presenter Tyler Perry, who was looking dapper in all black. Not surprisingly, Roma, which was also nominated for Best Picture, won its second Oscar of the evening for Best Foreign Language Film. Cuarón went on to win Best Director, the fourth Oscar of his career and his second for directing. Following a clip from the 1992 movie Wayne’s World in which Wayne and Garth rock out in a car to Queen, Mike Myers and Dana Carvey came onstage as their characters from the film to present scenes from the Best Picture nominee Bohemian Rhapsody. The Oscar for Animated Short Film went to Domee Shi and Becky Neiman-Cobb for Bao. Click here to watch our video interview with director Domee Shi. Jennifer Hudson showed off her amazing vocals and stage presence as she performed “I’ll Fight” from the Best Documentary Feature nominee RBG, while Bette Midler, a.k.a. “The Divine Miss M,” sang “The Place Where Lost Things Go” from Mary Poppins Returns. Gillian Welch and David Rawlings performed their song “When a Cowboy Trades His Spurs for Wings” from the The Ballad of Buster Scruggs. The musical highlight of the evening was when, out of the blue, we heard the opening notes of the nominated song “Shallow” from A Star is Born and Bradley Cooper and Lady Gaga walked hand in hand out of the audience and up onto the stage. Bradley serenaded Gaga, who sat down at a grand piano for her part in the song. For the final verse, Bradley joined Gaga on the piano bench and they sang with their heads together into one microphone in what was a truly touching moment. Scroll to the very bottom to watch the video. “Shallow” went on to win Best Song and Lady Gaga gave an emotional, tearful speech in which she encouraged people not to feel defeated when they get knocked down, but just to get back up and keep going. The Favourite, which was nominated for 10 Academy Awards, finally won its first Oscar when Olivia Colman was named the winner of the Best Actress Award. She looked genuinely surprised when her name was announced, possibly because Glenn Close had been the frontrunner for her role in The Wife. Olivia’s speech was hands down the most hilarious of the evening and received a standing ovation. The award for Best Animated Feature Film went to the popular box office hit, Spider-Man: Into the Spider-Verse. First Man, which was nominated for four awards, won its only award of the evening for Visual Effects. Laura Dern had exciting news as she announced that an Academy Museum of Motion Pictures was being built in Los Angeles. Julia Roberts is just about to announce the winner of the Best Picture award — and the winner is Green Book! This is the third award of the evening for the film. Director Peter Farrelly gave a special shout out to star Viggo Mortensen, saying he was crucial in the movie getting made. Mortensen had been nominated in the Actor in a Leading Role category, his third nomination in that category in his career. Check out the full list of winners/nominees below. Surprise the Favorite hasn’t picked up anything yet – great to see Bohemian Rhapsody winning looking forward to Cooper and Gaga performing ! Loved the fashion and jewels. Charlise snake necklace, Brie Larson, Amy Adams. Finally some super hero winners. Academy doesn’t usually vote for those. It really was best song. Why isn’t Brad Cooper also on it? Didn’t he sing too? Loved Shallow by Lady Gaga and Bradley Cooper! Best moment of the night! Happy for Rami, but sad for Viggo, he should have won an Oscar by now. Everyone in the best actor category deserved to win, tough year!